Get a lot, because if you’re smart, you’ll use a lot. That’s not, understand, because Werner is a penurious host, or is suggesting you be. It’s because he wants you to be a responsible host. “Be in control of your environment,” he said. With liquor, that means controlling pours to 1 ounce per drink. “Just because you have a lot of alcohol doesn’t mean you have to put 3 ounces in a drink,” he said. 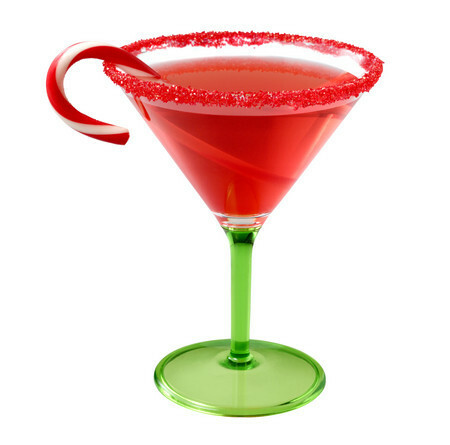 If you add a mixer, the extra liquor may not be obvious and the guest may inadvertently consume more than expected. “It’s not conducive to pacing yourself,” he said. It’s also important that there be food available, said Pat Moreo, chairman of the food and beverage department of the William F. Harrah College of Hotel Administration at the University of Nevada, Las Vegas. The experts all agreed on the importance of being a responsible host. All said it’s best to know what your guests like to drink and buy accordingly. Beyond that, they had some fairly divergent ideas. Werner: “If you’ve got some old, good bottles of wine and you’re having a bunch of people over, leave them where they’re at. You’ll pour a lot of things and no one really appreciates it.” For reds, he suggests fruitier wines, such as cabernet sauvignons or blends, from California. “I’d probably stay away from the European wines. Probably look for Australians; they have some great shiraz. Stay away from your traditional merlot; branch out a little bit.” In white wines, “I would venture into the rieslings, good rieslings.” If you’re using American wines, he said, consider rieslings from Oregon or Washington. Richards: “With the economy, they’re seeing a rise in the consumption of beer,” especially for home consumption. And don’t forget nonalcoholic options. Werner said to have highball glasses for mixed drinks, plus rocks glasses and wineglasses. “Lemons and limes cut up,” Moreo said. “Get a drink book beforehand if you want to step out of the box a little bit,” Werner said. “Experiment a little bit.” Remember whipped cream and Bailey’s Irish Cream for coffee. After dinner, he’d offer some cordials, either with coffee or served in brandy snifters. “Definitely keep them hydrated,” Richards said. And remember their first point.